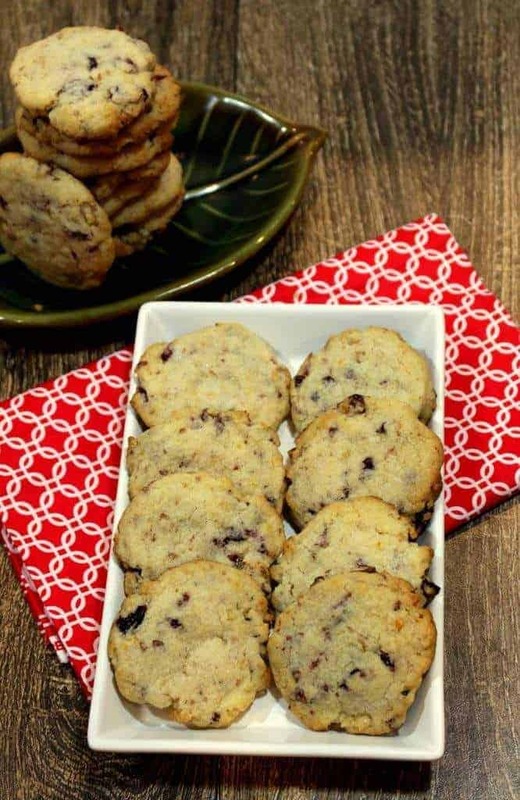 I am the last day of this week’s Kid’s delight – Cakes and Cookies theme and the last recipe that I have for this theme is this Cranberry Walnut Cookies. I really wanted to bake a chocolate chip and nut cookies, but realized at the last moment that I had no chocolate chips at home. 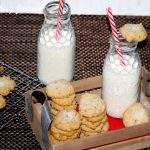 So, I had to come up with some other cookie recipe as I had promised my boys that I would be baking cookies for them. That is when I remembered this recipe from King Arthur flour website that I had bookmarked. Cranberries are one of my favorite fruit to bake with, so I always have some dried cranberries at home to bake muffins, like these and this Whole Wheat Banana Cranberry Almond muffins. 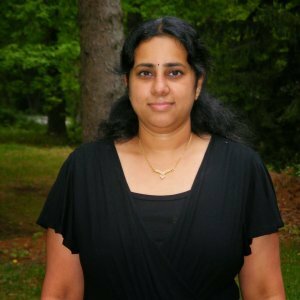 I also use fresh cranberries to make Cranberry thokku / spiced pickle and Cranberry rice. 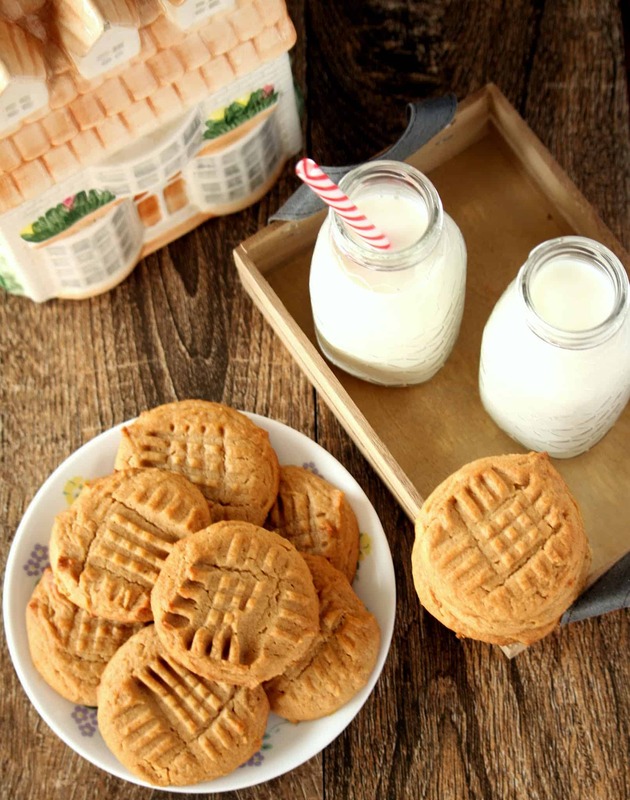 I personally love chewy cookies and this one was a perfect kind for my taste. The original recipe has eggs in them, but I substituted the eggs with sour cream and it worked great. Sour cream works great as an egg substitute for many baked recipes. The best part about this cookie is the orange flavor that comes from the orange zest. 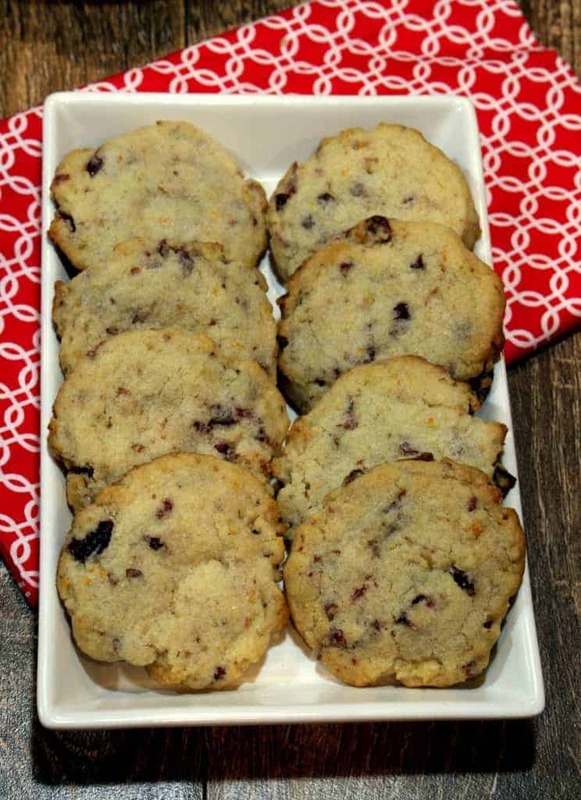 It worked great with the cranberries and made the cookies very refreshing. Preheat the oven to 425 F. Line two baking sheets with parchment. 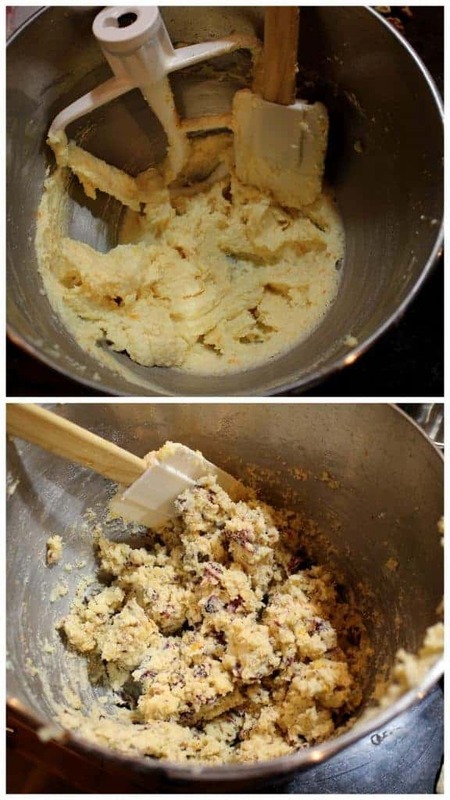 In a medium bowl, combine the flour, dried cranberries and chopped walnut pieces. Keep it aside. In a large bowl or in the bowl of the mixer, cream together the butter and sugar. Add the sour cream, salt, baking powder, orange zest and vanilla and mix well. Now add the flour mixture in batches and mix well after each addition. 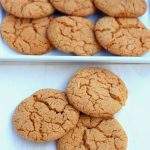 Take heaped tablespoonful of dough and place them on the prepared baking sheet leaving about 2 inches space between the cookies. With a flat bottomed glass dipped in sugar, gently press down on each dough mound to flatten it slightly. 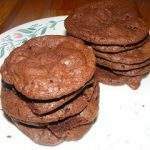 Don’t flatten the cookies too much as they won’t be soft and chewy. Leave them about 1/2 inch thick. 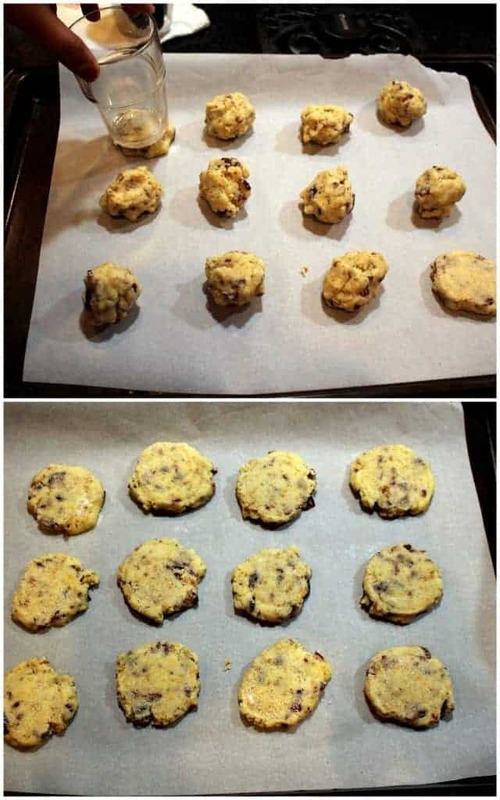 Bake the cookies for about 6 to 7 minutes or just until the sides of the cookies begin to turn brown. 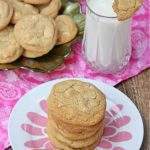 Do not over-bake the cookies as again they will lose their soft and chewy texture. 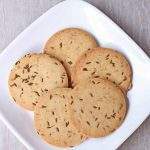 The cookies will remain very soft when you take them out of the oven. 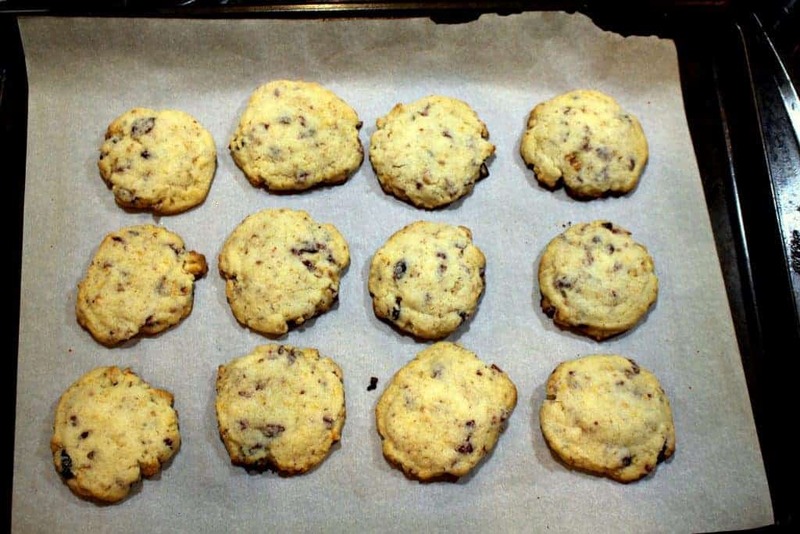 Let the cookies cool down for at least 5 minutes in the pan before you transfer them to a cooling rack to cool completely. I toast the walnuts before chopping it into bite size pieces. To toast the walnuts, layer them in a baking sheet and toast them in 350 F oven for about 5 to 7 minutes tossing occasionally. Make sure that you keep tossing the walnuts as they could burn easily. I also chop the dried cranberries to tiny pieces as that way they are even;y spread out in the cookie. If using an egg instead of sour cream, the recipe requires one large egg. 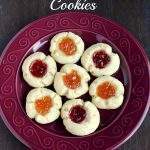 The cookies have turned out great Sandhya!..very nice..
Love the Flavour of cranberry and Orange together.. I love cranberries in baked goods, too. 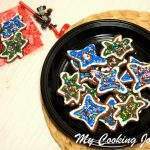 The cookies look yum. 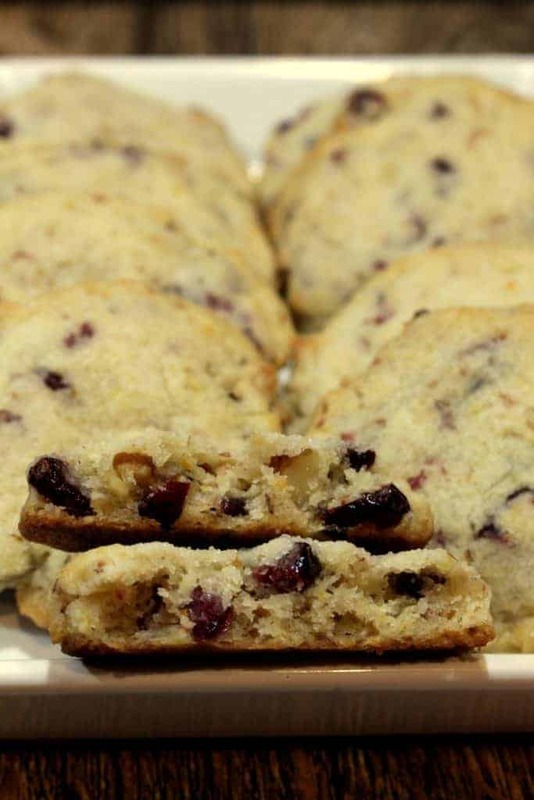 Cranberry and walnuts make a super combo , specially in cookies. 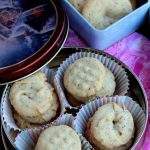 Very well made tempting cookies. 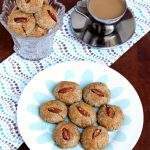 The cookies looks so good Sandhya. I have some cranberries left. Will try this one. Those cookies look great Sandhya. Perfect afternoon snack. I’ve never used sour cream as an egg substitute, will have to try it out some time. Orange, walnut and cranberry, wow all are my favourite ingredients. Am in love with these cookies. Lovely idea of using walnuts and cranberries.